The story of young Madina is a good example of the long-lasting friendship between the Linda Norgrove Foundation and La Chaîne de l’Espoir. 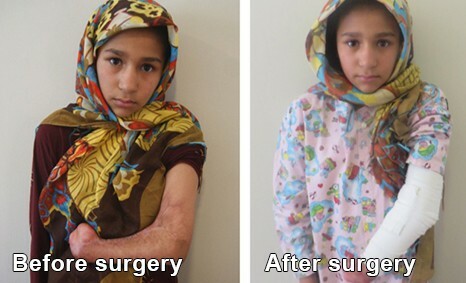 Little Madina, 11 years old, was suffering from contracture of the left arm joint following a severe burn that also caused atrophy of her hand. A release contracture surgery was required for her to recover the use of her left arm. Unfortunately, her family of 8 children with an income of only $90 per month could not afford to pay for such a surgery estimated at $500. Madina was taken in at the French Medical Institute for Children and Women last June thanks to funding from the Linda Norgrove Foundation to the Children’s Pavilion of La Chaîne de l’Espoir in Kabul. Her operation was successful and she can now use her arm the way she used to before. In 2017, the $10,000 allocated to the Children’s Pavilion by the Linda Norgrove Foundation contributed to treat a total of 10 little Afghan girls - from poor families - awaiting cardiac, orthopaedic and other types of surgery. Every of our partnerships is essential: it helps save lives. 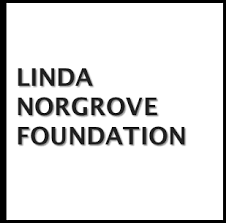 Our thanks go to the Linda Norgrove Foundation for its past, present and future support.